Interesting video – I did not think that hemlines were above the knees in the 1940s, but that was before my time. Cool music, too. In January, I go through all the Christmas cards we received the previous month. I re-read the letters, take another look at the pictures, and file everything in a 3-ring binder. I’ve been doing this since 2000, and I have two 3-inch binders almost full of letters and “annual Christmas photos” from friends and family. I enjoy reading the letters and looking at the photos. It’s amazing to see how everyone changes over the years. However, there are some odd omissions I find in many letters. 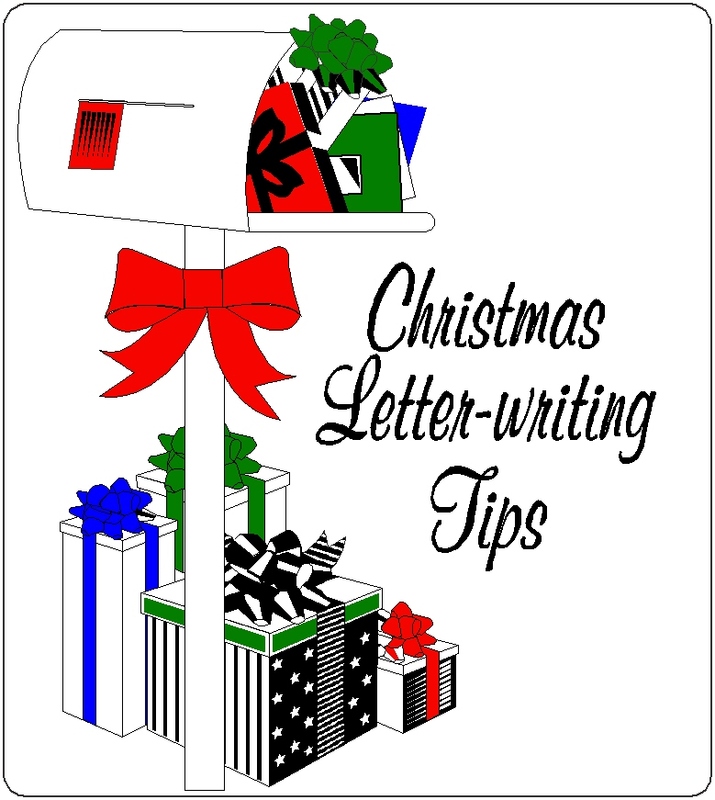 So, just in case you want to get into the “annual Christmas Family Letter Writing Trend,” here are some tips to help your letters stand the test of time. – Put the year on your letter. About 10 years after my grandmother passed away, I had the opportunity to go through her correspondence – she kept everything! Some of the treasures I found included the letters she and my grandfather wrote to each other when courting in the 1930’s. There were many interesting letters from friends and family members whose names I recognized, but were not dated. Not knowing some of the people very well, I was not able to place the letters in any sort of chronological context, and some of the sparkle was lost. On the other hand, I was charmed when reading old letters (with dates), and imagining my grandmother writing a letter in her teens and early married years. The date provides a great connection, perspective, and context to letters, years later. – SIGN your letters! Even if you just put “The Smith Family” at the end, it’s important to sign your letters. I receive more than 25 letters from family and friends, and when I read them again in January (and file them away), sometimes it’s a guessing-game to determine who sent the letter (this is particularly true for my husband’s friends – many of whom I do not know well). – Print on nice paper with good printer ink. Maybe you think it doesn’t matter, or that everyone throws out your letter at the end of Christmas, but letters on nice paper and with clear printing are a joy to read and have a better chance of standing the test of time. On the other hand, letters on cheap copy paper from a poor quality printer sometimes doesn’t make it through the first year. – If you send a photo instead of a letter, identify everyone (and put the year!) I don’t see your children every year, and if I don’t know you well, I might not know your children. As I get older and my peers are adding grandchildren to the mix, it’s even more confusing. I love to see your family pictures, but I would really like to know who I’m looking at. Bonus – Email Letter Trend. In recent years, more of my friends and family have been sending their annual “Christmas Letter” via email. I don’t mind (mostly), but take time to create a nicely-formatted letter as a separate attachment to your email. Christmas letters get a bad rap, but I think they are an important (and increasingly rare) connection between family and friends – make your correspondence count! Happy Independence Day from WOK! 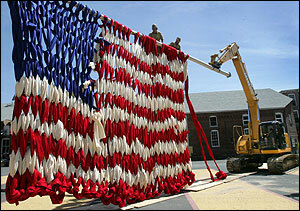 Dave Cole’s “The Knitting Machine” presented at MASS MoCA on 4th of July Weekend, 2005. 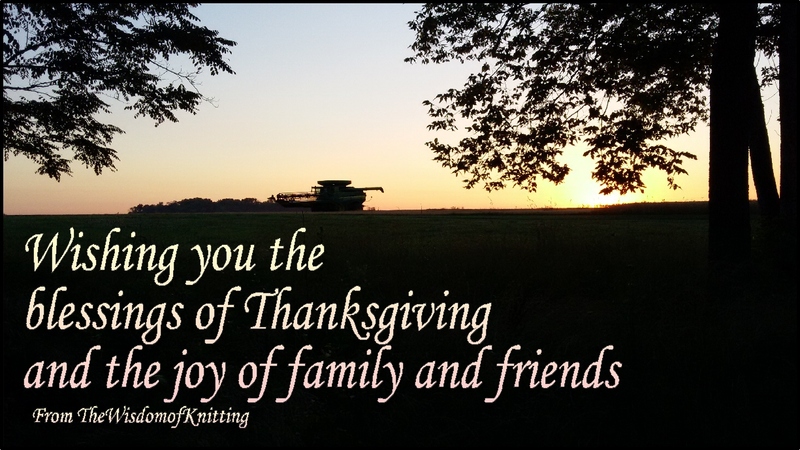 Posted on July 3, 2014 July 3, 2014 Categories Knitting, Thursday Time-Waster, WhimsyLeave a comment on Happy Independence Day from WOK! My hometown – the local economic development group organized and orchestrated this lipdub effort to the tune of John Mellencamp’s “Small Town” and “Pink Houses.” If your eyes are sharp, you can see me somewhere in the first song (hint – it’s before 2:30).